This post is sponsored by Wellness® Natural Pet Food and the BlogPaws® Pet Influencer Network™. I am being compensated to help share Wellness Grain Free options, but we only share information we feel is relevant to our readers. Wellness is not responsible for the content of this article. Wynston’s transition to Wellness® Core® grain free dog food has been a phenomenal process so far. Not only does Wynston love the food, but it’s been great to support our lifestyle. Recently I vowed to be more active with my dogs because Wynston was gaining weight. Since switching him to Wellness and hiking more often, he’s lost half a pound! I’m not saying that your dog will necessarily lose weight by eating this food, but it’s promoted a healthier outlook for us. With my boy on grain free food, I took it as an opportunity to really renew his health. It’s working and I couldn’t be happier! 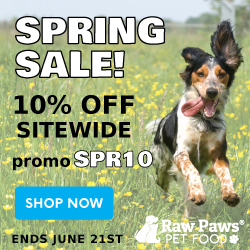 This post is sponsored by Wellness Natural Pet Food and the BlogPaws® Pet Influencer Network™. I am being compensated to help share the reinvented Complete Health Line and other Wellness Products, but we only share information we feel is relevant to our readers. Wellness Natural Pet Food is not responsible for the content of this article. As Wynston gets older, I worry more and more about his health. Although he’s only turning 5 years old this year, I want to be proactive so he can live the longest, healthiest life possible. So much of a dog’s wellness relies on the food they eat. Lucky for us, grain free diets have become increasingly popular and available at affordable prices. As pet parents, we want what’s very best for our pets, especially as they head into their senior years. With that being said, Wellness® has reinvented their Complete Health™ dog food and it’s now grain free! It’s time to revisit the brand and see how they’ve improved their Complete Health™ line.